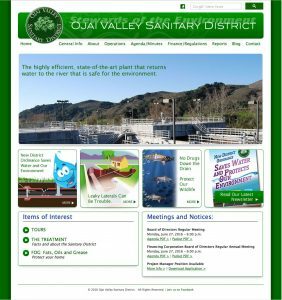 The Ojai Valley Sanitary District collects and processes wastewater from about 20,000 residents of the City of Ojai, the unincorporated Ojai Valley, and the north Ventura Avenue area. I designed this website with the ZestNet, Inc. team. I created an HTML5 website from design files provided to me by the designer. The website’s main function is to provide information to their customers as well as information to their employees about upcoming board meetings. The site also has a custom designed WordPress blog to match the website. 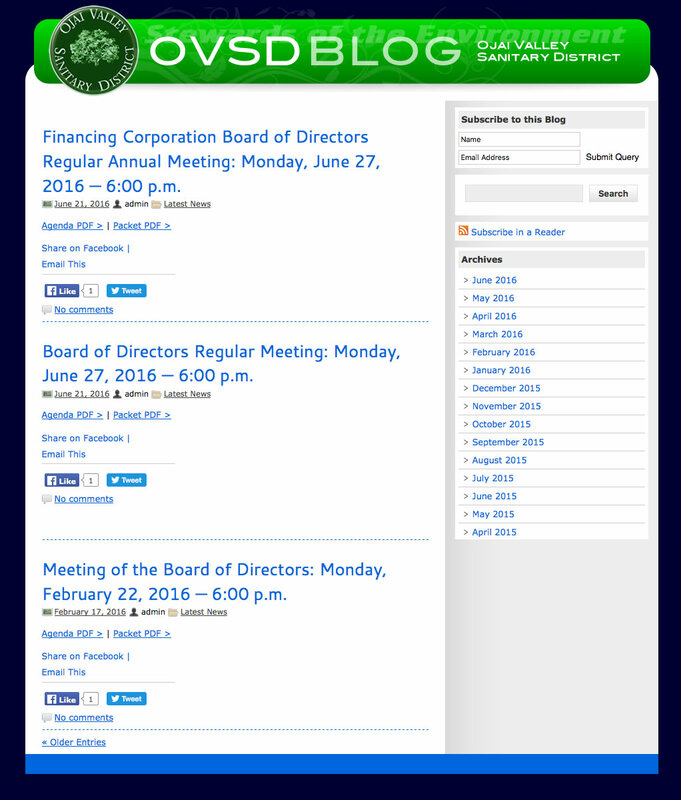 Category: Corporate/Business, Web Design & Development.